This version rounds up a number of small fixes and enhancements. Searching for an nonexistent issue now pops up an informative dialog, rather than a scary internal error one. The attachment description fields is superfluous, and was removed. 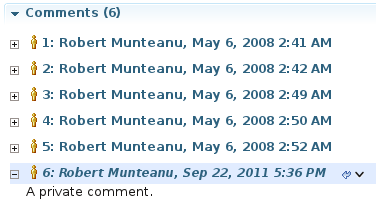 Comments are now created if specified. A manual sync was needed to enable the ‘Create Subtask’ action on existing tasks. This requirement has been removed. Also, new sub-tasks have custom fields added before creation. Previously it was possible for the connector to require a sync when in offline mode, or when rendering the task editor, which resulted in delays in the user interface. This has now been fixed. The 3.3.0 release focuses on usability issues, aiming to make connector simpler to use and closer to the brower-based MantisBT experience. We now recognized when the task repository returns a HTTP redirect, which usually signals that another location should be specified. The user is properly notified, instead of being presented an error dialog. As you might notice from the above screenshot, we no longer require you to enter the full path to the repository location. Although we support the old setting, we encourage you to enter just the base path to your MantisBT installation. Moving towards a more automatic style of configuration also means that this is the last version which will support MantisBT installations older than 1.1 . So for the 3.4.0 release we will not support MantisBT 1.0 anymore. When validating a repository which have know problems which can lead to data loss the user is warned. 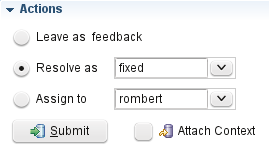 It is now possible to edit relations for tasks which are submitted to the repository. Previously this was only available for unsubmitted tasks. The progress dialogs now reflect the correct state when synchronising queries. Previously it would stall at 0%, and not display progress when queries or tasks changes were processed. The ETA and projection fields can be disabled from the MantisBT configuration. If they are, we will not show them anymore. Version 3.2.0 is a major feature release, comprising of performance enhancements, complete support for localised MantisBT repositories and better support for repository-configured settings. Refreshing the repository configuration is usually slow due to large number of configuration settings that are retrieved. A first step towards making this faster is to implement refreshing the configuration of a single project only. 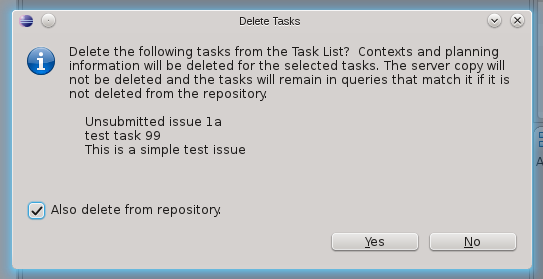 This feature is now implemented and you can refresh only a single project’s attributes using the corresponding task editor button . In our tests this cuts down synchronization time from 28 seconds to 6 seconds for a MantisBT installation with 16 projects. We now consider support for localised repositories complete. If it works for an English installation, it should work for any other installation. This includes repository attribute values, mapping priorities and resolutions and task list decorations. Please note that task attributes will not be properly displayed in certain circumstances, due to a bug in the MantisBT SOAP API – see Troubleshooting: empty attributes in task editor for more details and possible fixes. 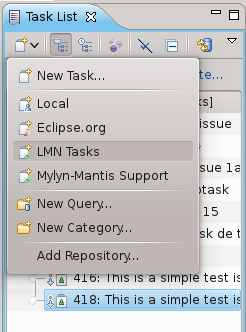 The good news is that this has already been fixed in MantisBT and will be available in the next stable release. All configurable default values for fields ( severity , steps to reproduce etc ) are now preselected when a new task is created. Also, the ‘resolve as’ action preselects the configured status from the repository, rather than defaulting to the current status of the task. The unknown error dialog we recently introduces was relatively uncut and appeared in too many circumstances. We know have better detection of predefined error cases and in consequence do not show the dialog that often. In addition, there is a real hyperlink which points to the Mylyn-Mantis troubleshooting page. We’re confident that this is the best release to date, so download it and give it a spin. If you encounter any issues, let us know through our bugtracker or support forum.